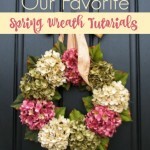 Spring wreath ideas are wonderful because you can put display them from late February and into the warm summer months if you’d like. Sometimes, all your home needs is a little embellishment to come alive. If you’re looking for something that’s easy to make and is also easy on the pocket, try this festive geo mesh tutorial. Since its inception, deco mesh has been taking the design world by storm! It is used by designers and florists to add life and color to spaces and crafts. This year, get crafty and make your own wreath that will be the envy of all who see it. If you decide to use the wire frame instead of the foam wreath form refer to the directions in the above video. Pin the stems to the wreath using the floral pins. Cover the upper side of the wreath with the stems. 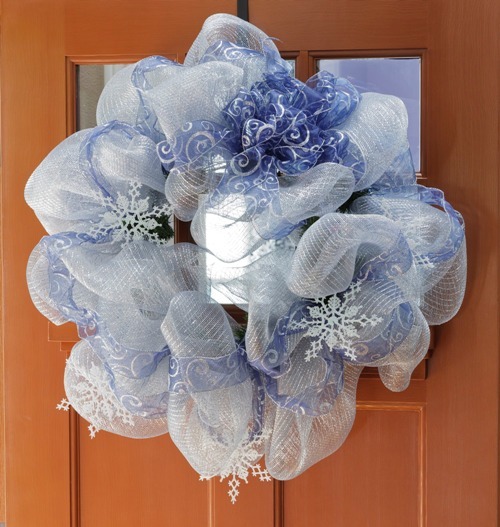 Since you’re using light colored geo mesh, the wreath frame will be easily seen if you don’t cover it. Starting on one end of a stem, gather the geo mesh and pin it. Tuck in the ends of the mesh to ensure there are no strings hanging. Gather about 8-10 inches of your geo mesh to make a loop then secure it with a pin. If you want a bigger loop, gather more inches; if you want a smaller one, gather fewer inches. Continue making loops until you cover the entire wreath with the mesh. Pin one edge of the ribbon to the back of the wreath. Roll it round the frame. Affix the ornaments and trimmings on the wreath using the hot glue gun. 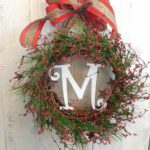 Hang your wreath on your door, wall, or fireplace. Embellish it however you want! 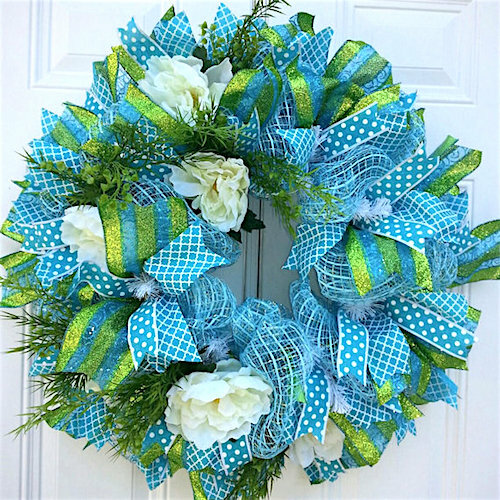 The great thing about this geo mesh wreath is that it can be used to decorate any space. You can use it to spruce up your fireplace, doorway, mantel, this spring with gorgeous hues you choose to match your home. Use it in any space that needs perking up. Its material is durable and waterproof so it can be used indoors or out. 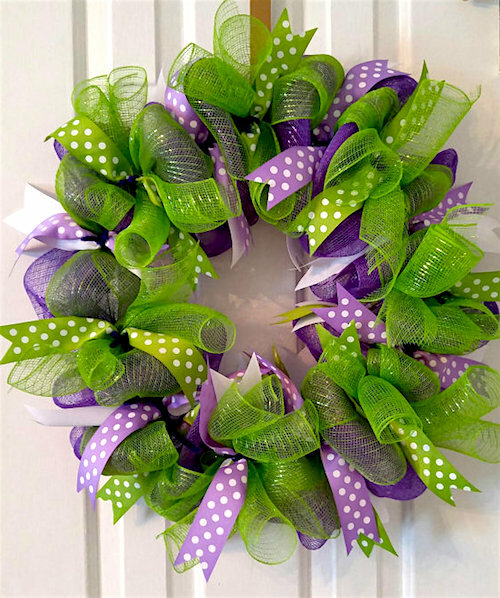 However, ensure you don’t place the wreath in direct sunlight or it will start fading after a while. 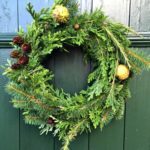 You can make the wreath any time of year and use different decorations. This is so pretty and I am going to work up the nerve to tackle it. 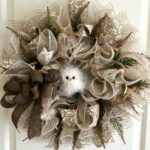 I have a tired old wreath I bought on clearance years ago that needs some new life breathed into it. I would love for you to join us at Celebrate Your Story Link Party. Here is the link if you’re able to. http://www.thesweetsensations.com/chocolate-sponge-cake-celebrate-your-story-link-party/. Have a creative day and hope to see you there! Love the inspiration here!